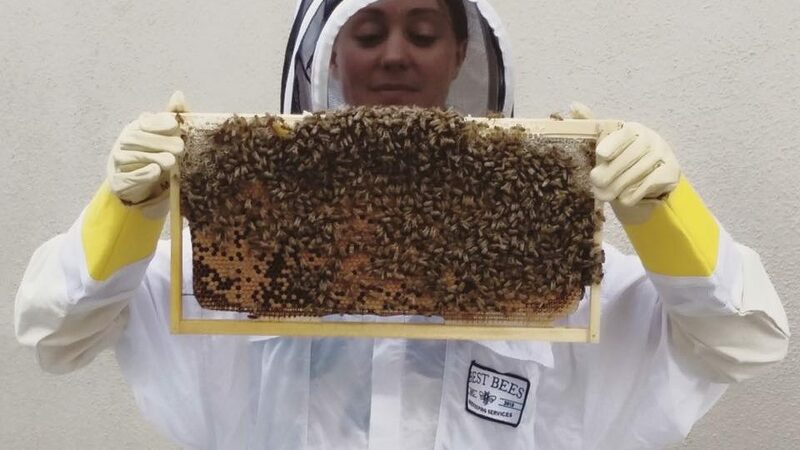 Our LA Beekeeper Will Bristol with Debbie Harry of Blondie at an event promoting Blondies new album Pollinator and raising awareness of honey bee health. The band Blondie has recently jumped on the bee bandwagon with their new album Pollinator and campaign BEE Connected, whose mission is to raise awareness of the decline in the bee population by promoting organizations dedicated to conserving and improving the health of pollinators. Our Los Angeles beekeeper, Will Bristol, was the featured local beekeeper alongside Frontwoman Debbie Harry at a recent promotional event and photoshoot for Pollinator. Here, he gives us a glimpse inside the bee-friendly album, photoshoot, and event. Existing Client? Make a payment.